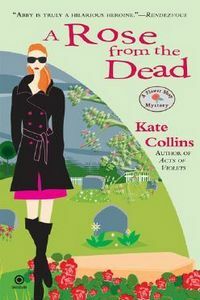 A Rose from the Dead by Kate Collins: Synopsis and Online Purchase Options. Synopsis (from the publisher): Abby Knight is attending the Midwestern Funeral Directors Associations regional convention, where the associations intensely disliked chairperson is found dead in a locked casket, her signature rose missing from her hair. Abby's determined to find out who loved the victim—and who loved her not.